First things first, before you can start stitching you need to learn how to insert the thread thru a needle and tie a knot! Are you having a hard time just getting the thread thru the needle? Check out this easy needle threading option. 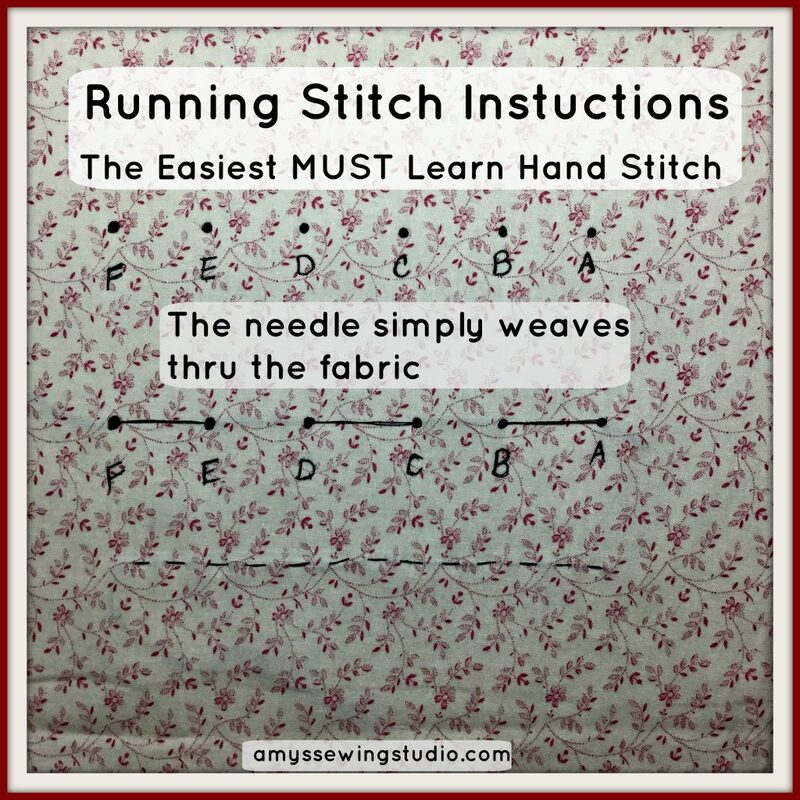 Preferably cotton, for practicing stitching tutorials. Cotton fabric is the easiest fabric for the beginner seamstress to use and practice on because it is not stretchy like knits and is just very easy to use and hold in your hand. Spools of thread actually have the label of ‘all-purpose’. This kind of thread can be used for many types of fabrics. Medium length will work for the purpose of hand stitching with cotton fabric. 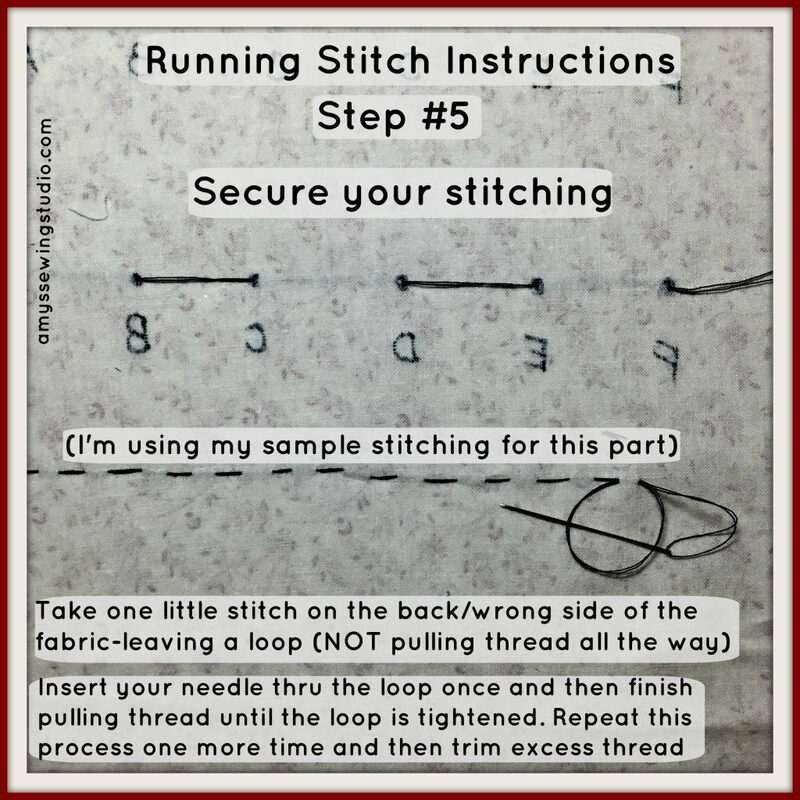 Check out the you-tube video for this Running Stitch and then keep reading this post for step by step instructions and pictures! I use a double strand of thread when sewing hand stitches which is shown in the video above. 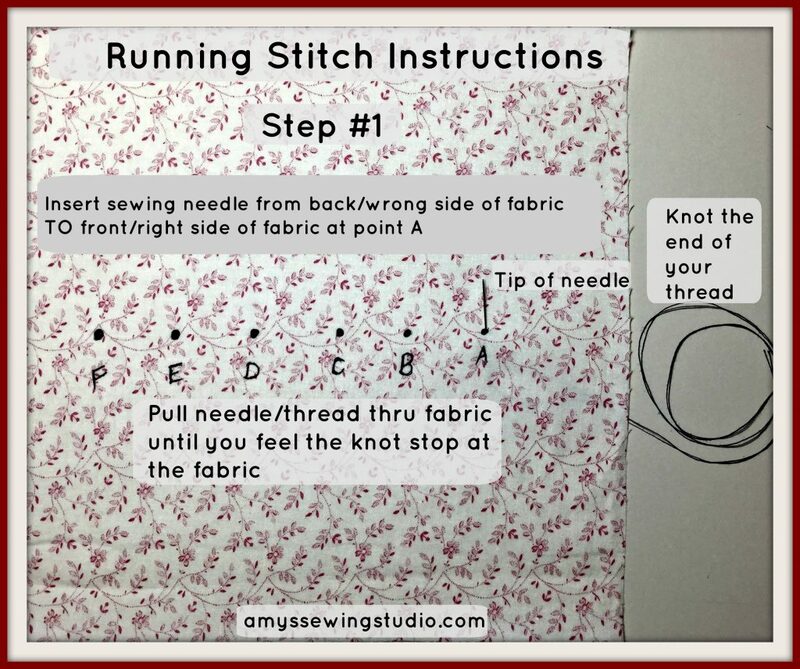 There is usually no right or wrong direction in which to sew the running stitch. I am right-handed and for this stitch I sew from right to left. You can decide which direction is more comfortable for you. **In the following directions, I will be using the words TOP and BACK side of fabric. Please note that RIGHT side of fabric will also mean TOP side of fabric you can see as you are stitching. The WRONG side of fabric will also mean the BACK side of fabric not facing you. Insert the sewing needle from the BACK side of the fabric to the TOP side of fabric. Pull the needle and thread until you feel the knot in the thread stop at the BACK side of the fabric. Insert needle tip thru point ‘B’ to BACK side of fabric and pull thread thru until thread rests on TOP side of fabric-not too loose and not too tight. If the thread is too loose, the stitch looks a little ‘sloppy’ laying on the fabric. If the thread is pulled too tight, you’ll see the fabric bunched up a bit. Insert needle back up thru point ‘C’ to the TOP side of the fabric. 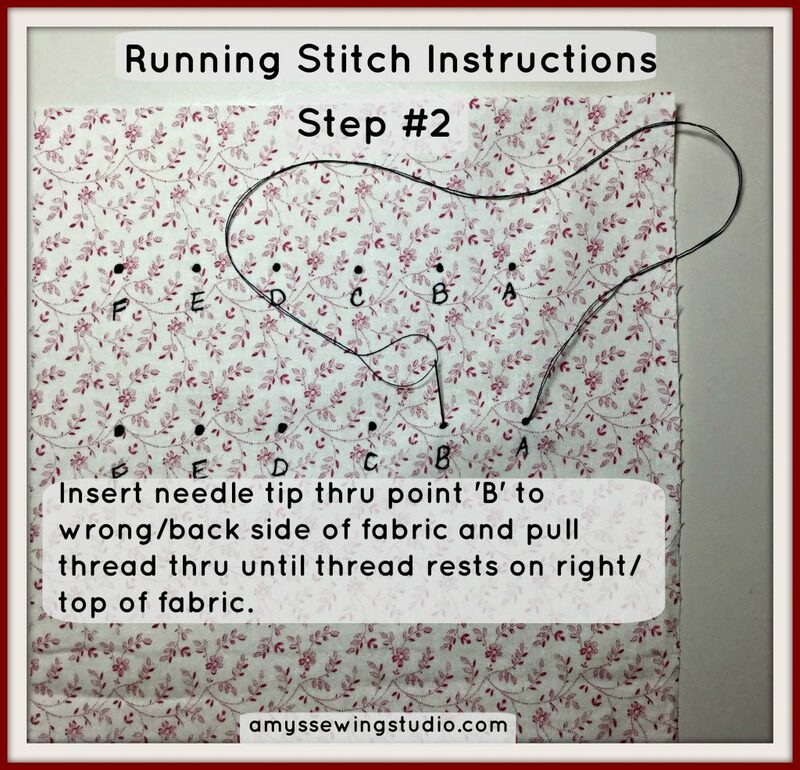 Instead of pulling thread all the way back down to the BACK side of the fabric, try weaving the needle from point D to point E. (insert needle thru point D and back thru point E and then pull the thread. 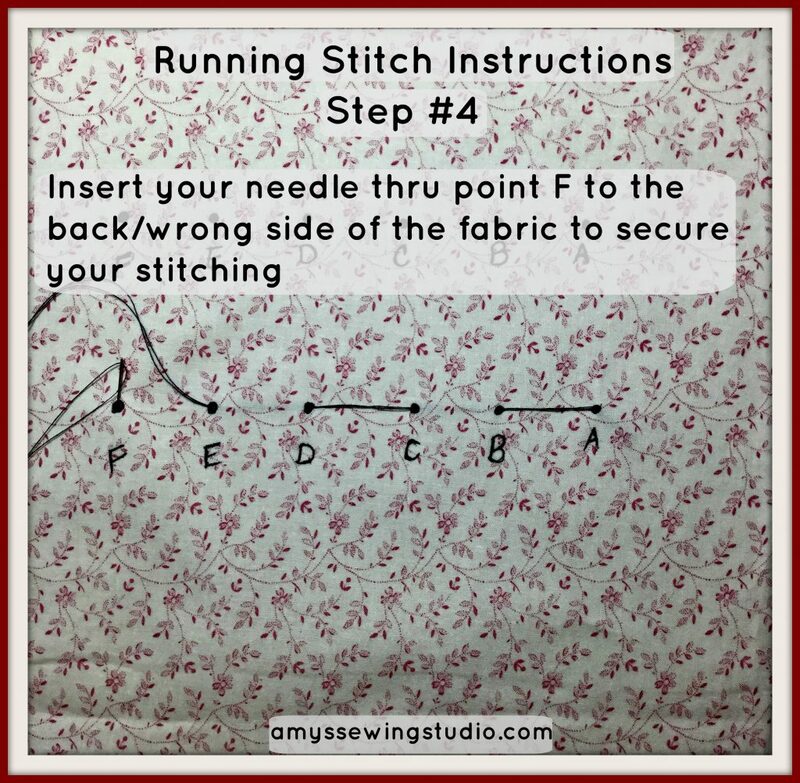 This is a quicker way of ‘sewing’ the running stitch and all your work stays on the TOP side of the fabric. No more taking the time to pull thread up and down each stitch. This way is more like pulling the thread THRU the fabric. You are now ready to finish your running stitch and secure your stitches. Insert your needle thru point F to the BACK side of the fabric. 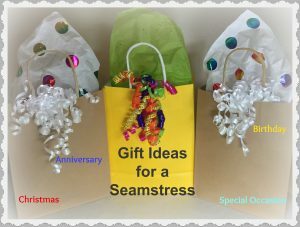 Time to secure your stitching if you don’t want your stitches to become loose and come undone. Most of the time I use this stitch as a basting stitch and don’t worry about putting a knot at the end of the stitching, and just leave a long tail of thread about 2 or 3 inches so I can spot my basting thread easily. If you are using this stitch as an emergency fix for a ripped clothing seam, you WILL WANT to secure your stitching. You can secure your stitch by taking a few extra stitches right on top of each other and then trimming any excess thread OR by tying a knot. 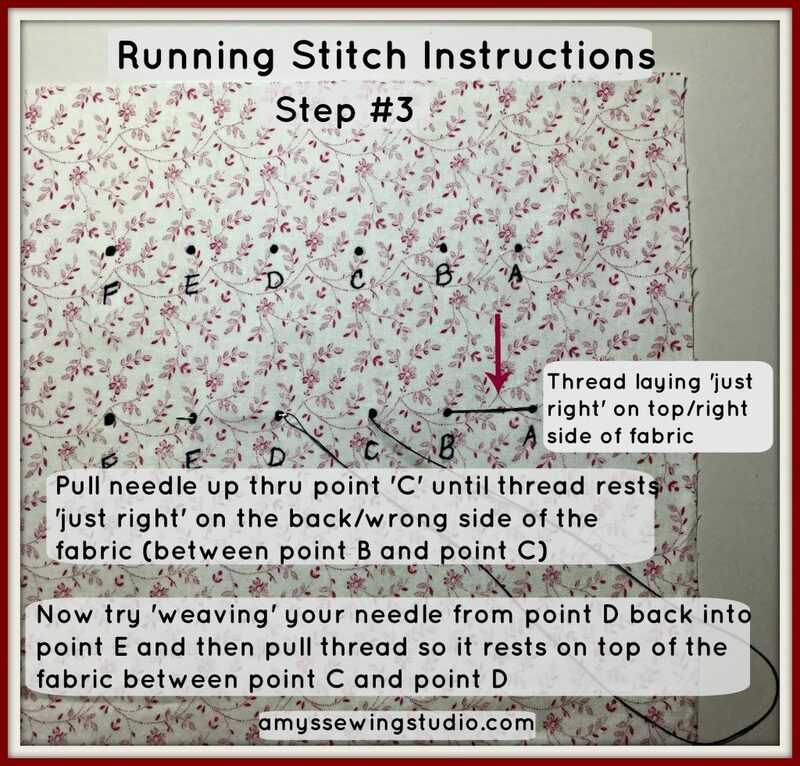 What length of running stitch to use? The length of the stitch will depend on the purpose of your stitching. Emergency seam fix– your stitches will be approx. 1/8″ long. (This stitch length will also depend on the thickness of the fabric) For simple cotton fabric 1/8″ will make your seam strong until you are able to fix with a sewing machine. Basting stitch- your stitches will be approx 1/4″to 3/8″ in length just depending on what you are basting. If you are basting a zipper to fabric, your basting stitches will be longer just because of the thickness of the zipper tape. Keeping the stitches longer length for basting will make for easier removal of the stitches with the seam ripper. You can also use a hand sewn basting stitch for making gathers in fabric. The length of the stitch will affect the look of the gathers. You are on your way to learning some hand sewing stitches, another great stitch to learn is the Back Stitch! 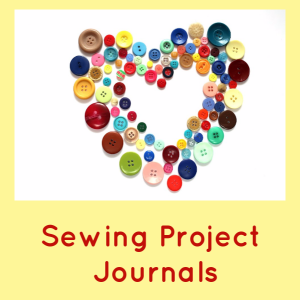 If you are wondering what other supplies you need to start sewing, check out this Basic Sewing Tools List. Be prepared and keep an emergency sewing kit in your office drawer, purse/backpack, or in your car. 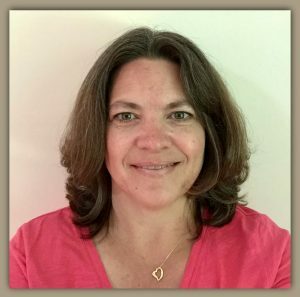 Please help me to help others and share this article on your favorite social media!